An illustration of the isotonic regression on generated data. The isotonic regression finds a non-decreasing approximation of a function while minimizing the mean squared error on the training data. The benefit of such a model is that it does not assume any form for the target function such as linearity. 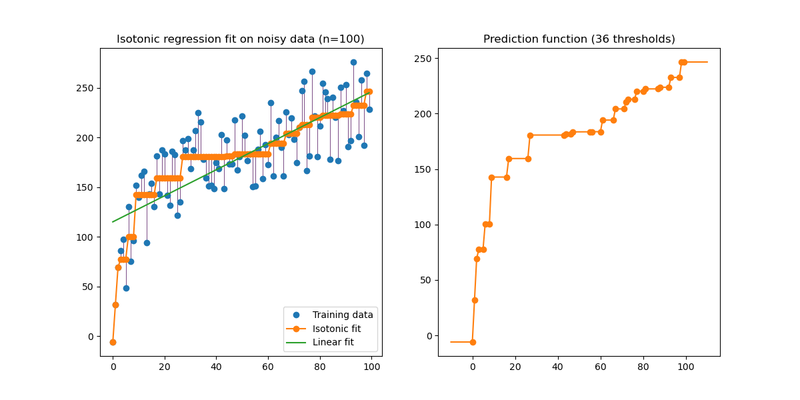 For comparison a linear regression is also presented.